Why the Senate Democrats shouldn't vote on the Ryan budget plan. A fair amount of momentum is building among liberals (see Senator Bernie Sanders, or bloggers Scott Lemieux and Steve Benen) for the idea that Senate Majority Leader Harry Reid should bring the House-passed budget resolution—more popularly known as the Ryan plan—to the floor for a vote. 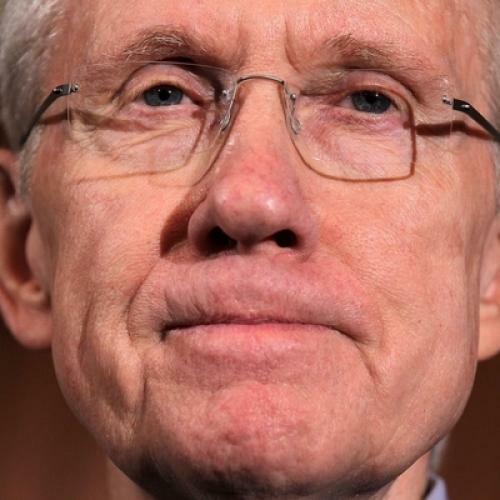 Reid is apparently ready to follow their lead. The theory is that it would be a tough vote for Senate Republicans, who will face pressure from movement conservatives to vote yes but don’t want to be on record endorsing, in the Democrats’ terms, slashing Medicare to pay for tax cuts for the rich. Indeed, The Huffington Post’s Sam Stein quotes a “Senate Democratic leadership aide” as saying, “There’s no reason not to” bring Paul Ryan’s budget to the floor. But perhaps it’s not that simple. I agree that the House budget, with its tax cuts for the rich, spending cuts to popular programs, and, above all, transformation of Medicare into a voucher program, is dangerous for Senate Republicans. But there might be one serious problem for the Democrats in bringing it to a vote: It’s presumably only going to happen in the context of Reid’s party bringing its own budget resolution to the Senate floor, and it’s not at all clear that Democrats have anything—not Obama’s budget, and not a budget of their own drafting—that they should be eager to vote on. The first reason Democrats might want to skip a vote on the Ryan plan is that, if they call hold one, they will almost certainly have to offer an alternative budget of their own. In a budget environment in which the Democrats have already been accused of not being “serious,” calling up the House budget resolution just to defeat it without proposing something they can support will only serve to enhance Republican talking points. Even if Democrats don’t draw up a budget of their own, Republicans would no doubt force votes on not one, but two, Obama budget plans—both the president’s original 2012 budget proposal and his more recent multi-year counter-proposal to the Ryan plan. And it’s certainly possible that the Republican plan might wind up receiving more votes than either of those alternatives. That is, after all, what happened in the Senate during the appropriations fight earlier this year, when the House-passed version of the bill received the votes of every Republican present (even though some of them said they objected to some of its provisions)—and the Democratic alternative garnered only 42 votes. The second reason Senate Democrats might want to display caution is that the Ryan budget, with its phony numbers, will be tough to compete against in the realm of public opinion. While the unrealistic projections and other issues with the Ryan figures—such as a mysterious unemployment percentage projection that appears oddly independent of actual employment and unemployment numbers—have been well-documented, their political implications are still underappreciated. In truth, if you employ real financial figures, it’s a lot harder to come up with a budget that will produce a smaller medium-run deficit than the House budget. And any budget the Democrats put forward will inevitably be compared, publicly and in Congress, to the Ryan’s false bottom-line numbers. That’s especially true on taxes: Ryan’s budget either projects tax cuts to yield increased revenues, or it does a remarkable job of concealing major tax increases. Either way, an honest Democratic alternative would be subject to “tax and spend” charges, while still struggling to match Ryan’s projected (albeit unrealistic) revenues—and any effort to explain that one set of projections is true and the other false would be an uphill p.r. battle for the Democrats. Even putting aside the fantasy numbers problem, there is a third problem with the Senate Democrats allowing a vote on the Ryan budget. Remember, what we’re talking about here is a “budget resolution,” which doesn’t have the force of law; it’s basically just an instruction from Congress to Congress about what to do for the rest of the year. During periods of unified government, there are procedural advantages to passing a resolution, but, in a heatedly divided situation like the one at present, budget votes have only symbolic value. And, because Senate rules allow everyone to bring up any amendment they want (unlike the House, where the majority can restrict the minority to only a single amendment), once the Senate moves to consideration of a budget resolution—whether Ryan’s or its own—the Republicans could force several tough, or embarrassing, votes. It’s an exchange that works against the majority party, which, by definition, has more incumbents who will be made vulnerable by taking difficult and, in this case, unnecessary votes. All this might be worth it if having a Senate-passed budget resolution would give Harry Reid and the White House any additional advantage in arriving at a compromise with the House over future budget-related matters, but there’s no reason it would do so. After all, at the end of the day the Democrats’ big weapon in forcing House Republicans to negotiate is Barack Obama’s veto, and that will be there no matter what the Senate does. Instead, the best move for Senate Democrats right now is to threaten a vote on the Ryan budget in order to bait reporters into pressing GOP Senators for their positions—but then to begin budget negotiations with the House without actually bringing the Ryan plan or any other resolution to the floor. After all, forcing tough votes on Senate Republicans is smart as far as it goes, but not if the result is forcing even tougher votes on your own members.